The Secret World is an upcoming MMORPG game from Funcom (makers of Anarchy Online and Age of Conan), that promises to be one of the best looking MMORPG games that will also be actually interesting to play. It seems that Funcom has worked a lot with Nvidia on adding a bunch of new technologies to make the game’s graphics look as realistic as possible and to take advantage of the latest technology available. And thanks to that we are alсo going to be getting native stereoscopic 3D Vision support as well as multi-monitor Surround support. The game The Secret World should be released on June 19th, 2012. The game Need for Speed World is now available to be played for free since 27th of July, with free being with some conditions of course, so I’ve decided to try how well it plays in stereoscopic 3D mode with 3D Vision. The new NFS World online racing game uses parts of the previous Most Wanted and Carbon with the focus being on illegal racing, car tuning and police chases along with some MMO elements in order to create a fun to play online racing game. 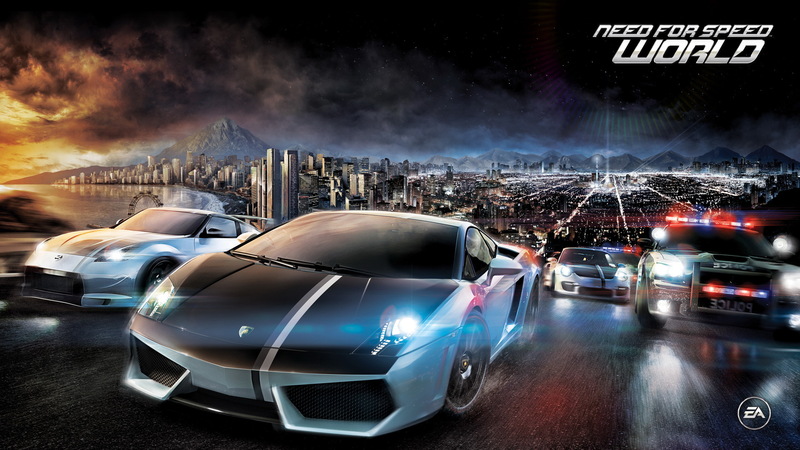 The game map in NFS World is based on the cities Rockport and Palmont (from Most Wanted and Carbon), so if you’ve played these titles before the world of the “World” will be quite familiar for you. As I’ve mentioned already the game is available for free, you just need to register and download the online client in order to start playing it. However when you reach a player level of 10 you will not be getting any more points and growing in rank unless you actually purchase the Need for Speed World Starter Pack available for $20 USD. This starter pack will allow you to progress further in levels and a few other extras like getting access to more cars, although you will still be able to play the game even without getting the starter pack, you will just be limited to level 10 and will not have all features. At first Need for Speed World seems to be working quite well in stereo 3D mode, apart from the fact that the shadows are not being rendered correctly and that kind of ruins the whole experience. You will have trouble with dynamic shadows of the cars, buildings, and other in game objects and that makes it hard to play even at lowest depth settings. And although the game looks quite nice with the default depth and convergence settings (no official 3D Vision profile is available yet) the issues with the shadows not being rendered correctly in S3D you better play in plain 3D mode on High detail levels for now. In order to fix the shadows issue and actually play comfortable in stereo 3D mode you have to go to Medium or lower detail levels and the game does not look so good when you go to lower detail levels, but at least this way it can be played comfortable in stereo 3D mode. What we need now is EA to release a patch to fix the shadows issue in order to make Need for Speed World a really good title to play in stereo 3D mode, as you currently cannot even disable the dynamic shadows from the in-game graphics options.